The membership year runs between January 1st and December 31st in line with our insurance policy. There is currently 1 concessional membership fee: riders joining in July to December are permitted to pay $40 to expire on 31st December. Full membership fees of $90* is due on January 1st. * subject to AGM ratification each August. Insurance. Insurance covers full financial riding members for liability (not personal accident). Please ensure you understand the difference. 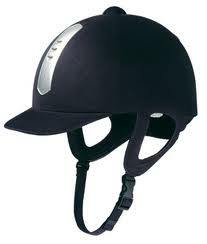 It is expected that riders will at all times whilst mounted wear a current Australian standard riding helmet. 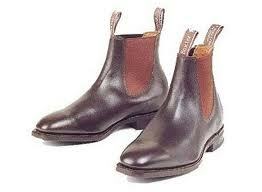 Boots should be smooth - soled and have a small heel. These two requirements are usual within all equestrian clubs/ events. Club does not check that you are compliant. It is your responsibility to ensure that you are. If at anytime you are unsure if you or your horse?s gear complies it is your responsibility to check with Equestrian SA (http://www.sa.equestrian.org.au) Strathalbyn adult Riding Club generally follows the rules/ guidelines of this national organisation. Current helmet standards are AS/NZS:3838 or EN1384. Club cannot absolutely ensure your safety whilst attending Club rallies and events. Risk may be limited by you being aware of your actions, the cause and effect of these and that of your mount. If your actions are likely to cause harm to others then you must cease these actions immediately. Club uses Facebook/messenger and our Club Website (www.strathridingclub.com) to communicate with members. Club makes every effort to communicate with members at rallies and via electronic methods and may not use mail or telephone to do so. We encourage members to ?join? our website and facebook page. This helps to ensure that website/facebook updates are communicated effectively to members. Please note: If you do not have access to Facebook/messenger, We will encourage you to buddy up with another club member who does have facebook/messenger access ? to organise rally updates/ payments through them. Alternatively it will be you responsibility to note the club?s calendar for the year, and you will need to phone the secretary each month for rallies. Club polo tops and saddle blankets are available for purchase from the club website. Both are optional for rallies, but compulsory for annual members only gymkhana and encouraged to wear for open competitions to represent the club. All lessons must be booked and paid for in advance and are non-refundable (unless your place can be resold and are then credited to use for a future rally). Bookings via the website are the preferred using PayPal. Cash may be deposited at Rallies via the club Post-box. The AGM is held in August each year & coincides with our annual awards dinner where the Champion of Champions trophy is awarded. It is expected that each member will treat others with respect. Grievances are inevitable part of club life. Please ensure you contact the President with any concerns. Email or messenger is our preferred method of communication. Please address all communication to committee@strathridingclub.com or pm us and address it to which it may concern as it is received by all committee members and will be answered by whom it concerns. Use of grounds during Club rallies is a privileged for members only. Non-members/Visitors must pay a Day Membership. Any member bringing a horse onto the grounds during a Club rally must pay $20 grounds use fee charged per person not per horse. (if not booked into a lesson - this includes if the horse is not ridden or just standing in the float). Any Member who pays for a lesson is permitted to ride any subsequent number of horses on the grounds free of charge the same evening. Please refrain from lunging horses on the polo field (the length of grass directly opposite the grounds show jumping club rooms). If in doubt, please ask before lunging. And please do not ride on the Soccer grounds. If it's cold....bring the Port! It would be very rare for our Club to cancel a rally or event. However, the threat of extreme heat would cause concern. If the temperature is likely to be in excess of 35oC then it is possible that we would postpone an event (or we may just ride earlier in the day where possible). Check this website or our facebook page regularly for up-to-date information. Thursday Evening Rallies: If the temperature is forecast to be in excess of 35oC for the evening - please check if the rally is going ahead. Policies cannot take the place of common sense and being sensible. It is your responsibility to check and find out. Please bear in mind that Strathalbyn often benefits from the evening sea/ lake breezes and can often be a tad more comfortable than townships further North, particularly in the evenings. In any event and despite Committee decisions, each Member needs to evaluate their own individual circumstances and decide whether or not the wellbeing of their horse(s) would be compromised by attending any rally in extreme weather. We provide a thermal cooker that members can volunteer to take home in rotation with other members and bring back the following rally with a cooked dinner for club members with tea, coffee and milo provided free of charge and have access to purchase cold drinks for $2ea from pony club. Oh, and It is always welcome to anyone who wants to bring a bottle of wine to share with friends! Non - members who wish to eat will need to donate $5 for their feed and are encouraged to rsvp via facebook or email so the caterer can cater adequately for the numbers so no one misses out. Please arrive on time for your lesson. Apologize to the Instructor if you are late. Advise the Instructor should you wish to leave the lesson early. Refrain from commenting negatively on fellow members riding ability or turnout of horses. Ensure any grievance is brought to the attention of any member of the committee. The committee are there to help with such situations.